The passing was crisp, the execution was precision. 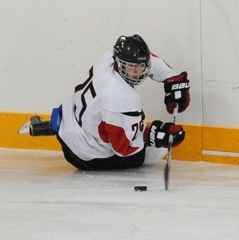 Eden Prairie doesn’t have a power play so much as it does a finely tuned BMW. 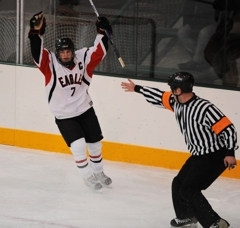 The high-revving unit converted four times in seven chances en route to the Eagles’ 9-5 all-guns-blazing victory over previously unbeaten Grand Rapids on Friday, Dec. 17, at Braemar Arena in Edina. With defenseman Nick Seeler acting as quarterback from the middle of the blue line, the rest of the setup includes Kyle Rau and Dan Molenaar at the top of the circles on either side, and the Rath brothers (David and Mark) crashing and banging in deep along the boards or in front of the net. “We just move the puck well,” Seeler said. “I cut across to the middle and dish it to Kyle, and it’s wide open. Either he shoots it and scores every time, or he dishes it back door to Danny and he scores. Good? A 50-percent power play efficiency is practically unheard of. Yet that is where the No. 1-ranked Eagles stand, at 12-for-24 on the power play through five games, all of them victories. “I thought we actually killed penalties pretty darn well, maybe as well as we have all year,” Grand Rapids coach Bruce LaRoque said. “They are so good and skilled, that they exploit any little mistake. Even Grand Rapids (6-1-0), a team that knows only one speed – full throttle – was mesmerized at times by the Eagles' power-play puck movement. The Rau-to-Seeler-to-Rau-to Molenaar-to-the-Raths shell game was something like the spinning and whirring you would expect to see inside a Swiss watch. 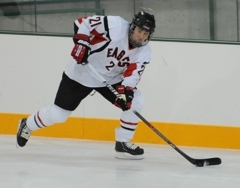 David Rath, who scored one of his two goals on the power play, has been one of the big benefactors of playing on the Eagles’ top power play unit. He has nine goals this season through five games; last season he had seven goals in 28 games. Rath explains his boost in scoring to his inclusion on the Eagles’ power play. Last season, Rau, a University of Minnesota recruit, logged most of his ice time while flanked with then-seniors Mitch Rogge and Mikey Erickson. 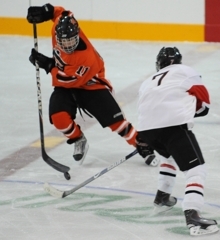 In beating traditional northern powers Cloquet, Virginia, Roseau, and Warroad to start the season, Grand Rapids had established itself -- along with Duluth East – as the most powerful squad north of the Twin Cities. 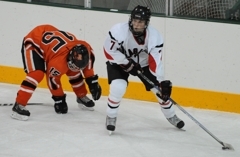 Then the Thunderhawks extended their season-opening win streak to six by stunning No. 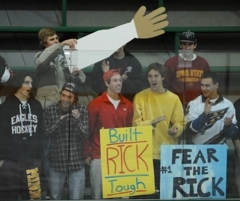 3-ranked Edina 2-1 on Thursday, Dec. 16, at Braemar Arena. Grand Rapids followed that victory with a eyebrow-raising start in their Friday, Dec. 17, game with No. 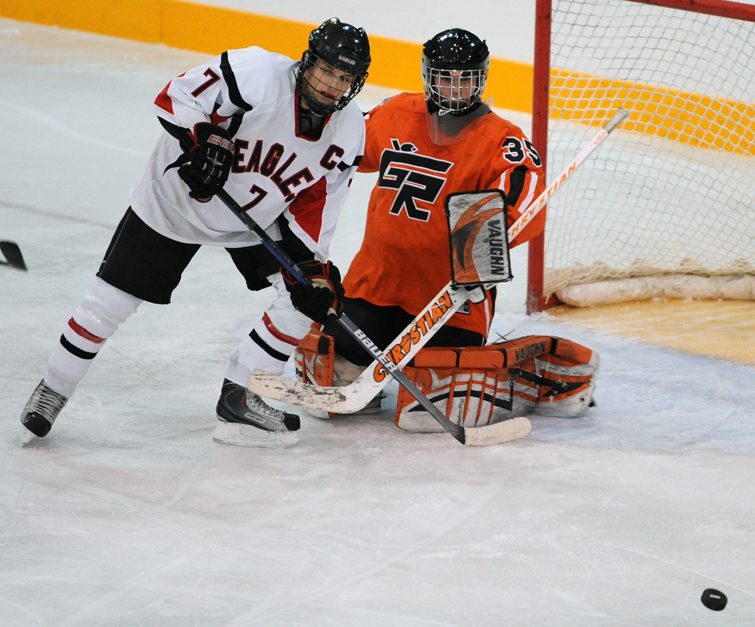 1 Eden Prairie, bolting to leads of 1-0, 2-1 and 3-2 before the Eagles caught and passed the Thunderhawks – all in the first period. 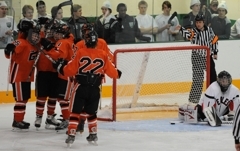 “We battled Edina pretty well last night,” Grand Rapids coach Bruce LaRoque said. 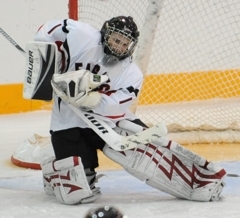 “Then of course Eden Prairie is a great team. I think we got better tonight. They are going to exploit any mistakes that you make. 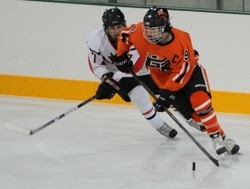 Grand Rapids’ win over Edina should vault it into the top 10 in next week’s Hockey Hub state rankings, although all of the other top 10 teams also had solid a solid week of performances. 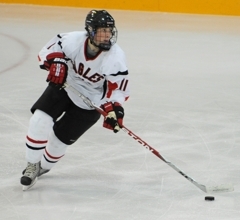 Kyle Rau and David Rath each scored two goals, and Dan Molenaar had a goal and three assists to lead No. 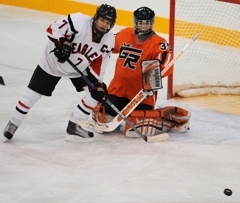 1-ranked Eden Prairie to a penalty-filled 9-5 triumph over Grand Rapids on Friday, Dec. 17, at Braemar Arena in Edina. 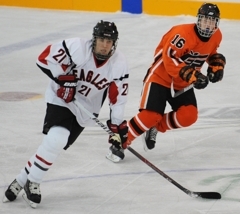 The Thunderhawks held leads of 1-0, 2-1 and 3-2 before goals by Jack McCartan and Rau put the Eagles ahead 4-3 to end the first period. 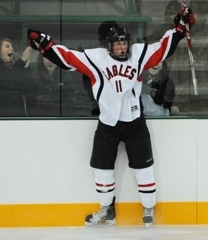 Eden Prairie’s power play was devastatingly efficient, as the Eagles went 4-for-7 with the man advantage. 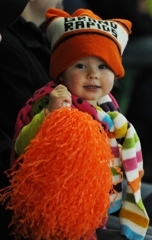 Grand Rapids was almost as dangerous on the power play, going 3-for-9. 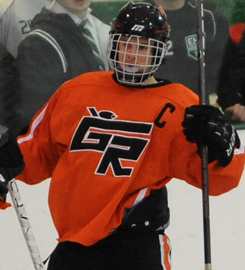 Christian Pearson and Patrick Moore each scored twice for Grand Rapids. There were 25 penalties called in all, including 14 in the second period. The loss was the first of the season for the Thunderhawks (6-1-0), who stunned No. 3-ranked Edina 2-1 on Thursday night. Eden Prairie, which tied for No. 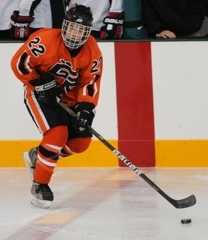 1 with Wayzata in the Hockey Hub’s Class 2A rankings this week, improved to 5-0-0. 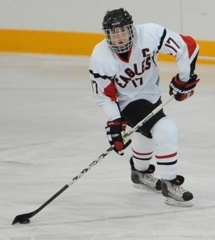 The senior forward scored consecutive goals in a span of 4 minutes, 58 seconds early in the second period to turn a one-goal Eagles advantage into 6-3 edge. 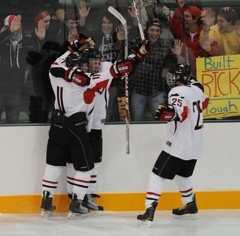 Rath has a team-leading nine goals (tied with Kyle Rau) this season after scoring 10 in 28 games last season. A senior defenseman, Molenaar scored a power-play goal that tied the score at 2 in the first period and added two assists. 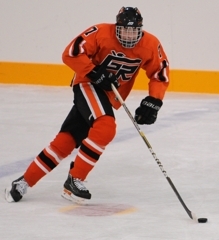 He was part of a head-spinning, tic-tac-toe passing man-advantage wrecking crew that gave Grand Rapids fits. 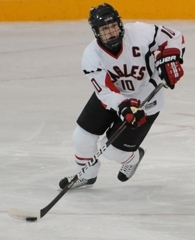 The senior forward scored twice, both on the power play, and used his speed, strength and non-stop hustle to give Eden Prairie’s solid group of defensemen all they could handle and then some.